A return to the classic American Bar and Grill, The Ordinarie--located on The Promenade in Downtown Long Beach-- offers a menu of revived comfort food, classic cocktails and a timeless tavern backdrop with a modern twist. Small plates, burgers, salads, sandwiches and entrees fill the pages of the restaurant's lengthy menu coupled with wine, craft beer and a long list of spirits.  The Ordinarie is truly an extraordinary dining experience and features live entertainment. 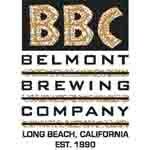 Opened in 1990, the Belmont Brewing Co. (known locally as the BBC) is the OG. Located at the foot of the Belmont Pier, the restaurant's menu has evolved over the years. Favorites, like the classic Lobster Bisque, are joined by new flavors like the Hawaiian-style Poke and Charred Brussels Sprouts. Pair any meal with a BBC original brew (the dark and decadent Long Beach Crude is a local favorite), glass of wine or handcrafted cocktail. Enjoy the ocean views for weekend brunch, lunch or dinner. 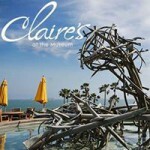 The art of dining is evident at Claire's at the Museum, located on the grounds of the Long Beach Museum of Art. Perched on a bluff high above the ocean, Claire's offers indoor and outdoor dining with a menu of American fare for breakfast, lunch and dinner. Handcrafted cocktails are a specialty, too. The patio, which is punctuated by bright yellow market umbrellas to shelter guests from the sun, offers unobstructed views of the Queen Mary and Catalina Island in the distance. 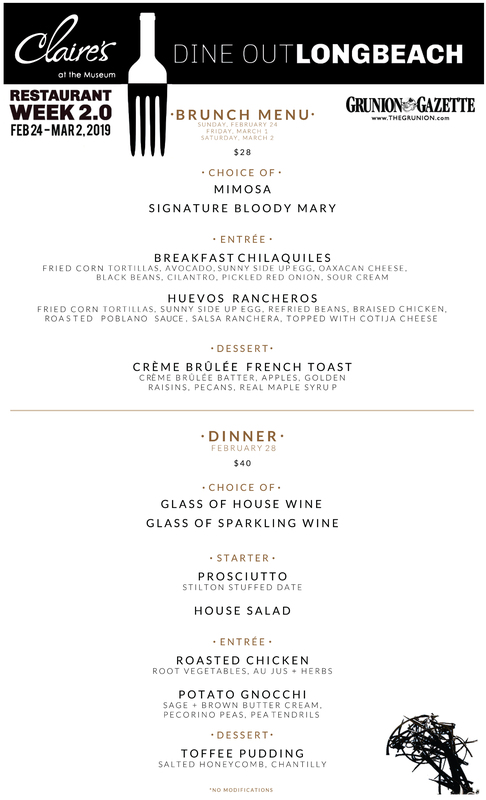 Claire's at the Museum welcomes guests Thursday-Sunday for breakfast, lunch and dinner plus Happy Hour on Thursdays. 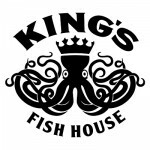 For more than a quarter century King's Fish House has been a staple and dining pioneer at the corner of Pine Avenue and Broadway in Downtown Long Beach. Serving uber fresh fish, including shucked oysters and sushi, King's Fish House offers a full bar, inviting Eastern seaboard-style ambiance, and seafood so fresh it needs to be slapped.